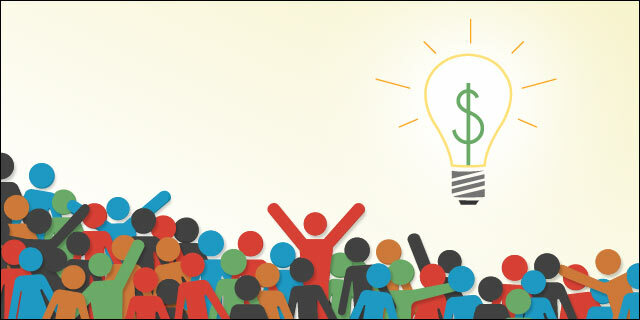 The concept of crowdfunding is older than you might think. Way back in 1987, a college student paid his tuition by soliciting pennies through a widely read newspaper columnist. The internet has only made this sort of thing easier; by connecting hundreds of millions of people and providing a low bar for entry, it's possible for just about anyone to find an audience willing to help make their vision come true. Kickstarter has helped give rise to games, movies and even a RoboCop statue in Detroit. Patreon allows fans of independent content creators to sponsor their efforts on YouTube and in the arts. The common denominator here is a reward: by contributing to this goal, one expects a piece of the final product, from the satisfaction of seeing it completed to an exclusive edition to co-producer credit. It's a little surprising, then, that this trend has been slow to catch on in the anime industry. As early as the late 1980s to early 1990s, the Legend of the Galactic Heroes OVA was funded in part by phone orders from fans. But that's reaching back to an economic boom in Japan. Masaaki Yuasa, director of Kickstarter success story Kick-Heart, cites more recent economic woes as the reason for less original and auteur-driven stories. When profit and popularity are uncertain, it's easier for major studios and advertisers to take smaller risks with adaptations and remakes. Yuasa and other artists and studios are looking to online crowdfunding as a solution, and they're getting some fantastic results. Let's take a walk through some recent efforts and see what the future holds. 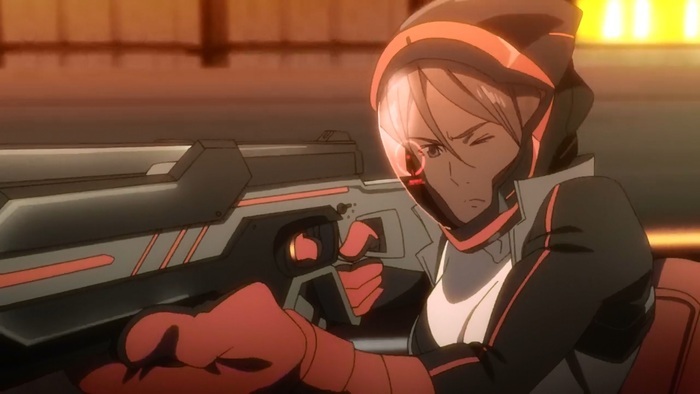 The first major success story in recent years comes from Production I.G., the studio behind Ghost in the Shell, Guilty Crown, and Psycho-Pass. It's only 12 minutes long, but tells a compact and funny story: Masked Man M, a masochistic professional wrestler who throws matches to support an orphanage, falls in love with a female opponent and must choose between love and victory. Launched on Kickstarter on October 1st, it made its goal of $150,000 in three weeks and ultimately raked in just over $200,000 from over 3,200 backers. It premiered on Toonami and at the BFI London Film Festival, among other venues, to widespread acclaim. Fans noted in particular the non-traditional, sketched, psychedelic animation as opposed to a more familiar Japanese style. As the title indicates, Kick-Heart isn't just a story of love in the midst of martial sports, but a proof of concept for a new wave in anime production. The power of taking risks and gaming the system to do good in the world is a strong theme in this short, and its success drives the point home. Masaaki Yuasa's work paved the way for similarly funded projects to bloom. As you'll see, however, they still have a long way to go in his home country. 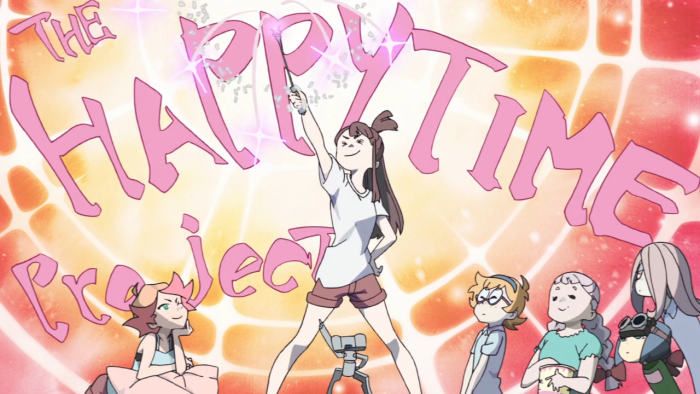 Studio Trigger's surprise hit came about back in 2013 as a result of the government-sponsored Young Animator Training Project to promote innovation in entertainment. The sequel, Enchanted Parade, started its Kickstarter campaign in July of that year and met its $150,000 goal in only five hours. That was just to double the run time to 50 minutes; the fundraiser easily broke the stretch goal of $500,000 for a making-of documentary and ultimately closed at $625,518. It was released for Kickstarter backers back in July and will see a wider premiere in early October. What's the catch? Well, Little Witch Academia was wildly popular in the West, and most of its funding came from foreign audiences rather than Japanese. Domestic ticket sales for the premiere of the original were decidedly lackluster. Though the show's future is promising, the crowdfunding model still hadn't entirely caught fire in Japan in this case, perhaps because of the Western focus. Fortunately, it seems to have taken off for other projects. Case in point: In This Corner of the World, based on Fumiyo Kōno's pre-World War II manga about a newlywed woman who moves to a new city to be with her family. Where the two previous projects were aimed at a broader, more Western audience, Corner has more of a domestic appeal. The comic won the Excellence Prize in the 2009 Japan Media Arts Festival, and was adapted into a live-action film two years later, with Keiko Kitagawa (Paradise Kiss, Pretty Guardian Sailor Moon) in the leading role. Enter Japanese crowdfunding site Makuake, which on March 9th of this year announced a 20 million yen (about $180,000) campaign to produce an anime adaptation. That goal was met just ten days later, and the campaign ultimately made close to 35 million yen (about $290,000). The anime is in production by Genco (Honey and Clover, Nodame Cantabile) and MAPPA (Terror in Resonance, Punch Line) and set for release in 2016. 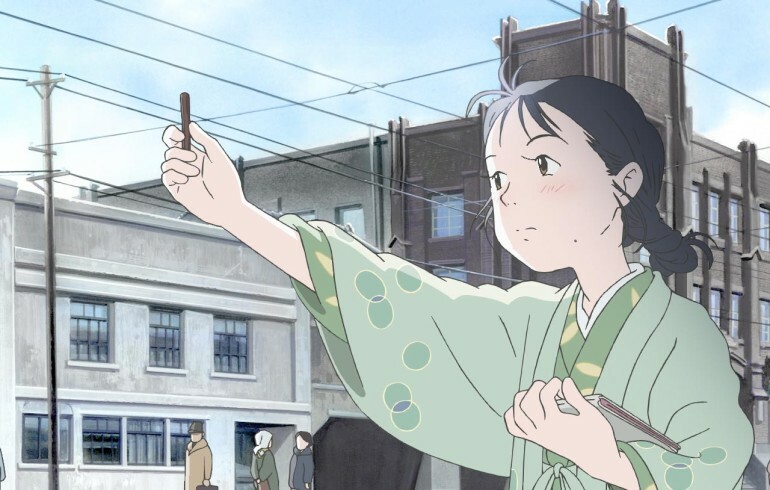 Though Japanese crowdfunding sites like Makuake are inaccessible to foreign audiences, the runaway victory of In This Corner of the World signals a growing domestic market for such schemes, even if Corner isn't an original work. Of course, every step of progress has its cautionary tales. At a glance, Jirō Ishii's Under the Dog, a dystopian action show in the vein of Ghost in the Shell and Akira, seemed like the perfect candidate for a crowdsourced rescue from development hell. A script was completed in 1996, but production lagged for almost 20 years. Citing mainstream producers' focus on core otaku audiences as part of the difficulty of getting the project off the ground, studio Creative Intelligence Arts turned to Kickstarter in August of 2014, aiming for 70 million yen ($580,000) within a month. Everything looked promising—the project raised over $878,000, fan anticipation was running hot, and big names such as Hideo Kojima announced their support. Then things went south. Unprecedented production costs precluded the ambitious stretch goals, among them two prequels, a feature film and a Los Angeles premiere. 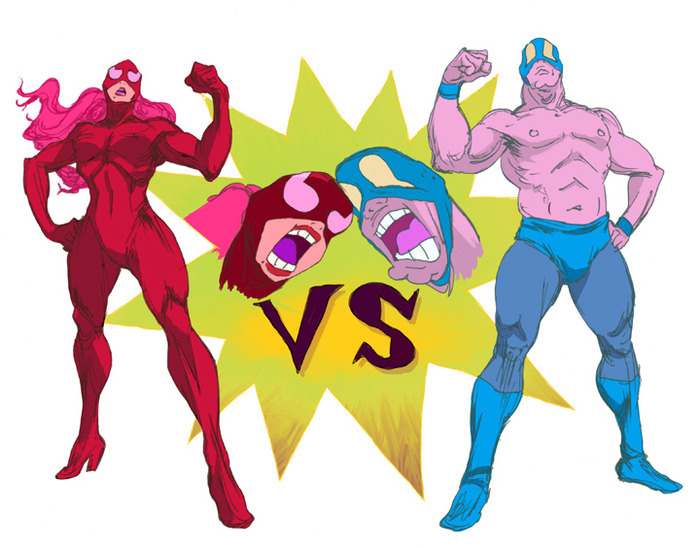 Creative Intelligence Arts ended up with barely enough to make the originally planned 24-minute episode, and left the project after creative disputes with partner studio Kinema Citrus. Over a year after Kickstarter closed it down, Under the Dog switched studios and staff, and struggled to make good on promises to backers and finally settled on a delayed release date of spring 2016. With new producers at the helm to do damage control and sort out poorly-planned operational costs, it's anyone's guess as to how much the final product will resemble what was originally envisioned. It's not just anime that has sought funding through the Internet. Creative Intelligence Arts are rolling the dice on a Kickstarter-funded RPG, Project Phoenix. It's raised over 100 million yen (about $850,000), in no small part due to the involvement of industry titans like Nobuo Uematsu. Another game—Mighty No. 9, from Keiji Inafune of Mega Man fame—has raised 390 million yen, although bugs in the online multiplayer have delayed its release. As with any industry, consumers and creators are more likely to pay attention and take risks on familiar names and properties, like English translations or ongoing projects by established artists. But as in the United States and elsewhere, independent actors and publications such as the American-aimed Akiba Anime Art Magazine are seeking funding through online forums. Though Kickstarter's international appeal and large Western market largely dictate current trends, Japanese crowdfunding is coming into its own, with sites like Makuake and Readyfor attracting tens of millions of yen in investment from fans. In particular, Readyfor is apparently big enough for frivolous projects not unlike the infamous RoboCop fundraiser; a 100-million-yen appeal to send a replica of Neon Genesis Evangelion's Spear of Longinus to the moon attracted attention but ultimately failed. What does this mean for crowdfunding in anime? Well, as with any other industry that turns to fan support, it's got massive successes and unprecedented failures. Studio Trigger and Production I.G. have proven that aiming for foreign audiences can bear fruit, and smaller-scale endeavors like In This Corner of the World are a sign that the model has legs in Japan as well. It's not just a matter of finding the right audience. As the troubled production of Under the Dog demonstrates, artists and studios have to have a vision for what they want to create and how they'll allocate their resources. But as current projects mature, it's only a matter of time before the next major success story. Personally, my money's on a feature film for Little Witch Academia. The arc of history favors such efforts, and there's every reason to believe that publicly funded projects will trigger a renaissance in the mainstream anime industry. So the first episodes of almost every spring anime have aired but you haven't had the time nor the patience to sit through every single one to find out which ones might be worth following? Don't worry, because our writer has laid out which anime of the spring 2016 season have started strongly.